I've always struggled holding down a nighttime skincare routine as, after a long day, I usually want to just crawl into bed and sleep. However I've been using a night cream so amazing that I can't wait to go to bed, just so I can apply this beaut beforehand! 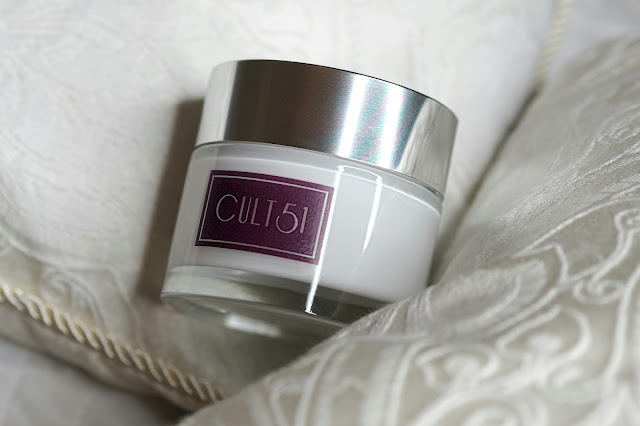 The Cult51 Night Cream contains a combination of powerful active ingredients that work in synergy with the skin’s own molecules, to encourage cells' processes of regeneration and repair. It is an anti-ageing powerhouse, thanks to its focus on ATP (adenosine triphosphate), the source of energy that helps fuel every cell in our body. Cult51 focus on this energy as, when we age, our body's natural production of ATP slows down, causing our skin to age. Because of this, the brand formulated its products using ingredients that help to stimulate the skin cells’ ability to biosynthesise ATP - the night cream has been found to raise ATP levels by up to 65%!! Of course, any beauty brand can make these impressive claims, however I have really seen a great improvement in my skin since using the Cult51 Night Cream daily. My skin is softer, stays hydrated for longer and looks healthier overall. I have also experienced a reduction in redness and the appearance of fine lines and wrinkles. In addition to its anti-ageing benefits, the night cream smells absolutely beautiful and has a silky soft texture that feels amazing on the skin. It feels so good that I often apply a small amount during the day because it provides such a great base for makeup application.